Pay Needs a Strategy. Strategy Requires Leadership. As a business leader, you don’t want to get involved in pay minutia. It’s not your role and such details divert your focus from more critical priorities. However, setting a pay agenda that drives growth is a strategic issue that must have your full attention. Without your leadership, pay can become a costly nuisance that inhibits performance and drains profits. 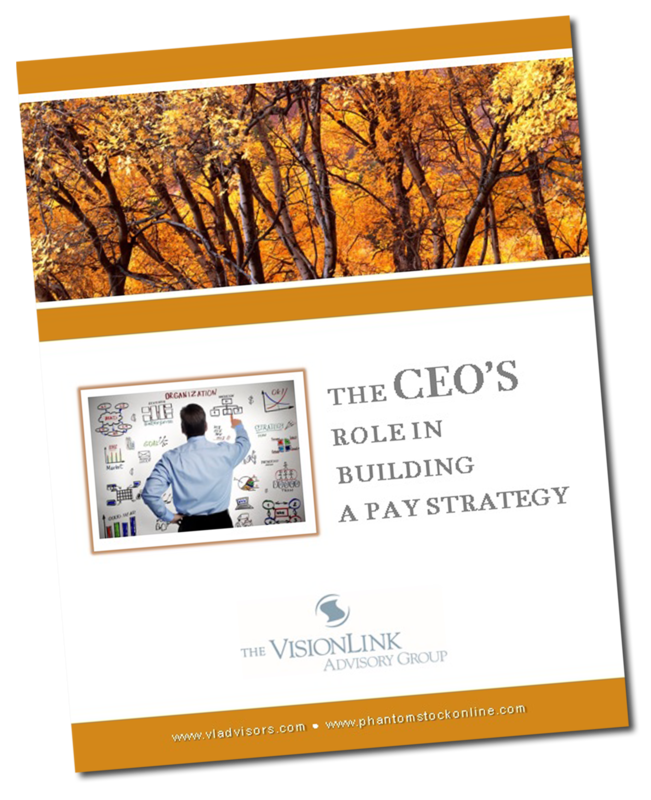 VisionLink’s report—The CEO’s Role in Building a Pay Strategy—will give you a clear understanding of why and how you should guide the rewards approach your company takes. Read it today and turn pay into a strategic growth tool for your business!